So setup the whole vmware exact as the in the knolage base (only used full win7 OS and not tiny). At first it runs smooth but after a while it looks like its getting lag and responds very slow. I already turned off the firewall but its not working. Could it be because of the proxifier?? I doubt client lag is a result of some connection issues. The problem is known but I dont have a solution. 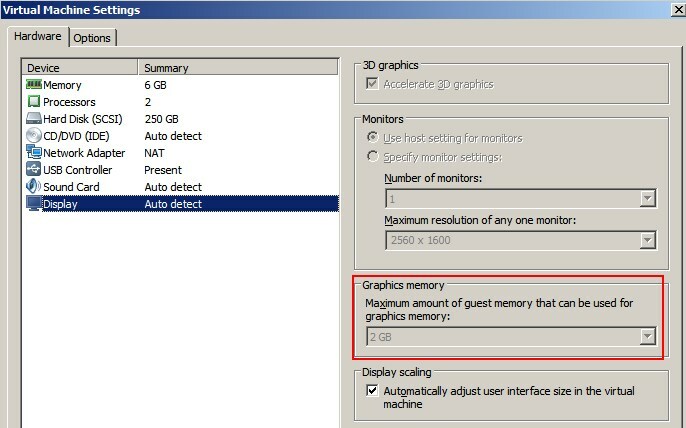 Try to increase memory for your VM, set more VM's memory to use as a graphic memory. Try to set 2 processors etc. Something might work. I have asked to test VM7 in the past as having less VM issues, but need to do my own tests as eve launcher changed and stopped to start with old VMWare. For some reason my vmware has not the option you linked. After trying a lot of settings with disappointing results i looked into the vmware tools. After i added the "Memory Control Driver" my issues on the short term seems to be gone. I still have to test it for longer periods of time but at least its already a improvement. "Memory Control Driver" is one I had to disable in the past to avoid vm problems. Please reply if this option fixed your issues and what wmware workstation you use. It has to do with "PCI passthrough", a lot of "Gaming" videocards are not properly supported for this. As far as i have read about it, you would want something like a NVIDIA Quadro card for this. Some people mention they got it working with the newer gaming cards, not a lot tho.. Seems i dont have a videocard that supports it so ill try it maby out when i get a new pc.